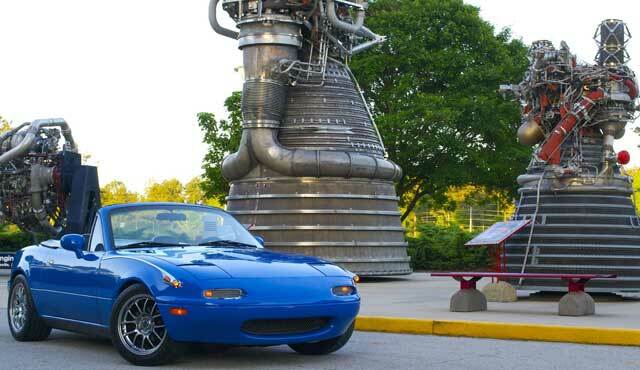 Congratulations to Paul on the selection of his Miata for the April Miata of the Month! The car was stock when I bought it in 2003, had 89K miles and I drove it stock for ten years. 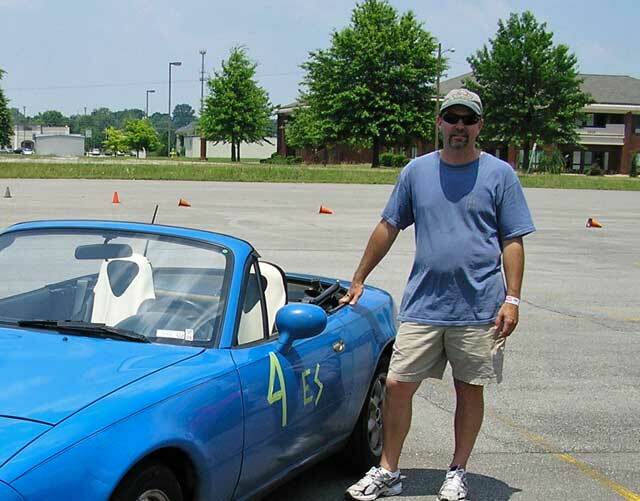 I’ve done a little autocross, but it was, and still is, mostly my commuter car. Occasionally my commute is from Alabama to Florida or Alabama to New Orleans. It has always been a reliable mode of transportation and a joy to sit in for ten hours of driving. Sometimes I take the long way around, especially if the road looks promising on the map. 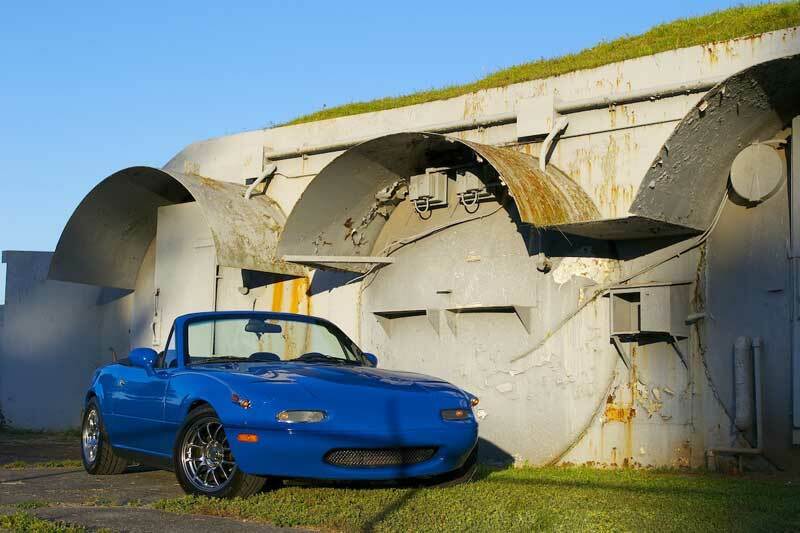 I’ve driven it on the roadbed that the Crawler-Transporter used to move the Saturn IV and Space Shuttle from the assembly building to the launch pad. I’ve driven it on Bourbon Street. I drove it up the old railroad bed chasing kids on dirt bikes off my property one time (got Kudzu vines hung in the belly pan). I drove through Mentone AL at 4 AM on black ice, that was scary. I’ve driven it up and down the Little River Canyon Rim Parkway, which I can tell you is desolate on a Wednesday afternoon in March. I love driving the winding country roads! at sunset in the summer. I have always enjoyed driving it and miss it when I can’t. Today it has 225K miles and this is the year of upgrades and refurbishments. I’m currently looking for a used ’99-’00 1.8 to install. I enjoy doing a lot of the work myself. It took me three months to get the courage to drill holes in my fenders for the side marker lights. 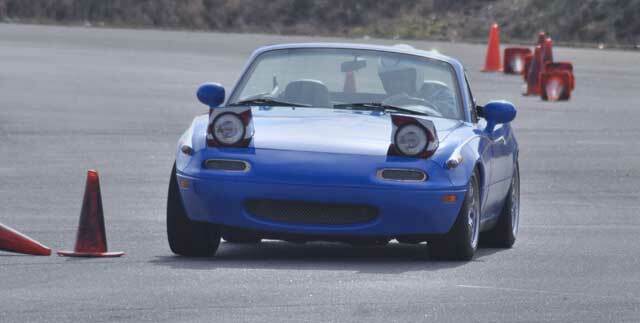 I installed the coil-over shocks in about 4 hours with the help of a friend from the local Miata club. 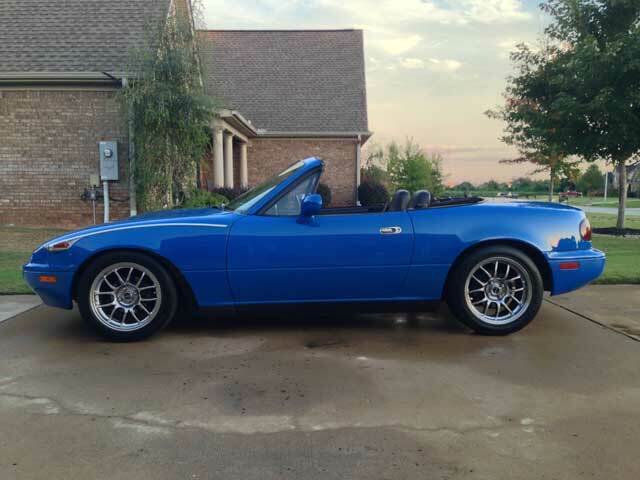 While I’ve never posted much of anything, I’ve read Miata.net forum for many years and gotten some great advice and information on how to do things. I’ve even gotten some inspiration. 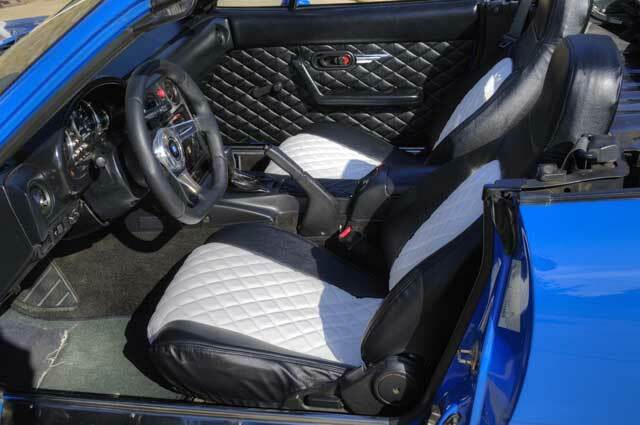 Every now and then I think about buying a new model, but I always come back to the styling of the NA. I love the bug-eye headlights housed in the retractable barn doors. I love the smooth curves around the fenders, and the graceful swoop transition between the front fender and door, just above the door mirrors. 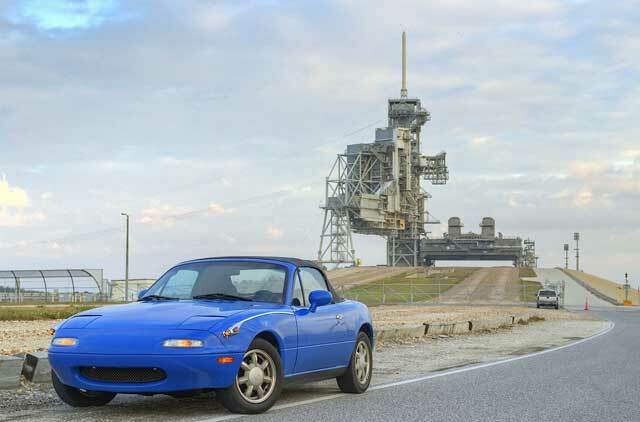 The later models just don’t hold the charm of the NA, for me. 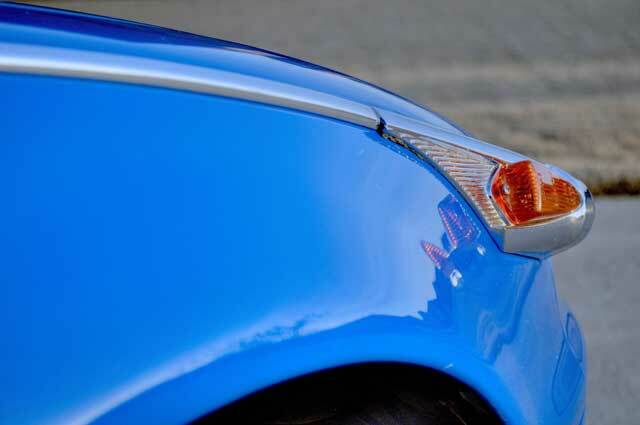 So, as the car has aged I’ve decided it is time to make it new again, but with my personal preferences in mind. I’ve driven the car for ten years now, with the vast majority of total miles being mine. I plan to keep driving my Mariner Blue for as long, and far, as I can.